Darren Keith Elikins popularly known as Darren Elikins is an American mixed martial artist who recently signed to the Ultimate Fighting Championship. He fights in the Featherweight division. Darren Elikins was born on 16th May, 1984. His full name is Darren Keith Elikins. He was born and raised at Portage, Indiana, United States. In Portage High School, Darren Elikins completed his wrestling in four years. As a freshman, he placed at seventh position and he was qualified as a sophomore. He was there as a position of third as a junior. He was also a State Champion as a senior. For two years, he went to college and wrestled at University of Wisconsin Parkside. He didn't complete his degree. 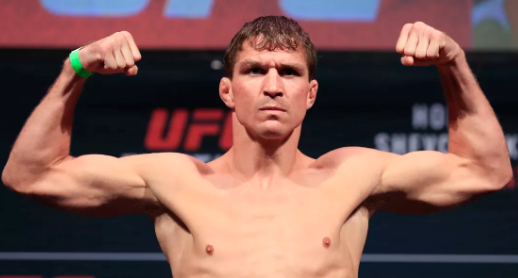 Darren Elkins made his first debut for wrestling on the preliminary card of UFC on Versus 1. In the match, Darren Elkins made totally victory over the opponent, Duane Ludwig. In the game, Ludwig suffered a serious ankle injury which was caused due to the taken down by Elikins in the very first round. In UFC versus 2, he made his debut which took place against the opponent named as Charles Oliveira. While playing the game, Darren Elikins opponent quickly undertook a triangle choke. On November 20th, 2010 he was fully expected to face his opponent, Edson Barboza at UFC 123. Later, Elikins was forced from the card with an injury and he was later replaced by Mike Lullo. On June 11th, 2011 Elikins also made featherweight another debut against Michihiro Omigawa at UFC 131 in which he won the fight. On October 8th, 2011, he also won over Zhang Tiequan as unanimous decision at UFC 136. Elikins was able to dominate him from top position after several failed guillotine attempts from Zhang. On May 26, 2012 he also made victory TUF 14 winner, Diego Brando at UFC 146. He also win the second and third rounds, earning him the unanimous decision victory. On November 17th, 2012 Elkins also fought fellow featherweight prospect Steven Silerv at UFC 154. Elkins was awarded the unanimous decision victory after dominating the fight for three rounds, in the score of 4-0 at featherweight and 5-1 overall in the UFC. On March 16th, 2013 Elkins opposed the player, Antonio Carvalho at UFC 158 and he won over him via first round TKO stoppage after landing strikes that rocked Carvalho followed by a knockdown, prompting the referee to intervene the game. On April 20th, 2013 Elkins made a quick return and opposed Chad Mendes after taking virtually no damage in the fight against Carvalho at UFC on Fox 7 by replacing an injured player, Clay Guida. There he lost the fight by 1st round TKO. On August 28th 2013 Elkins confronted the player, Hatsu Hioki at UFC Fight Night 27. Elkins rallied in the last two rounds after getting hurt by a body kick late in the first roundand and there he made his victory to the fight via unanimous decision. On January 25th, 2014 Elkins was matched with Jeremy Stephen at UFC on Fox 10. There, he lost the fight via unanimous decision. On September 20th 2014, Elkins confronted Tatsuya Kawajiri , at UFC Fight Night 52, but the bout never materialized as Kawajiri was sidelined indefinitely with a detached retina. On October 25th 2014 Elkins opposed to Lucas Martins at UFC 179 where he won the fight via split decision by 30-27, 30-27, 27-30 score. Elkins faced Hacran Dias on December 20, 2014, at UFC Fight Night 58. Fighting in Brazil for his second straight fight, he lost the fight via unanimous decision, 29-28 across the scorecards. On 24 October 2015, Elkins also appeared on an international card where he confronted the player, Robert White ford at UFC Fight Night 76 and there he won via a dominating 30-27. On 5th March 2016, Elkins confronted the player, Chas Skelly in which he won by a dominating unanimous decision at UFC 196 by 30-26, 30-27, 29-27. On 23 July 2016, he also confronted the player, Godofredo Pepey at UFC on Fox 20 in which he won by dominating unanimous decision 20-26, 29-27,29-27. On 4th March 2017, Elkins opposed Mirsad Bektic at UDC 209 in which he won the fight and due to this he was awarded as performance of the Night bonus. On 22nd July 2017, Elkins Confronted Dennis Bermudez at UFC on Fox 25 in which Elkins won by 29-28, 29-28,28-29. On 14th January 2018, Darren Elkins confronted Michael Johnson at UFC Fight Night: Stephens vs. Choi. He was also awarded as Performance of Night Bonus. On 14th July, 2018 Elkins confronted Alexander Volkanovski and lost by unanimous decision at UFC Fight Night 133. According to the Mixed Martials Arts Record, Elkins wins many matched till now but loses only few matches. 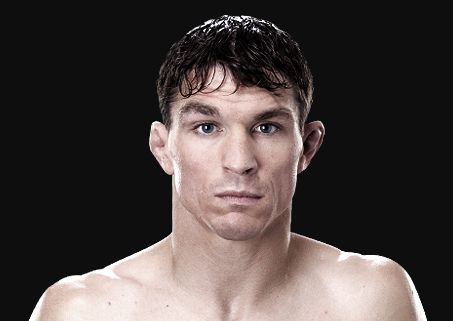 Darren Elkins is a married to Connie Elkins. Since high school, they were in a relationship. They are together since 16 years. They are blessed with two children named as Emma and DJ. His current earning is $1,041,000. His height is 1.78 m and his weight is 66 Kg.